With thanks to Bill Longbottom for the scans and notes. Trevor Atkinson, Ray Atkinson, Derick Kitson, Chris Hill, Bill Longbottom, Barry Smith, Peter Leather. 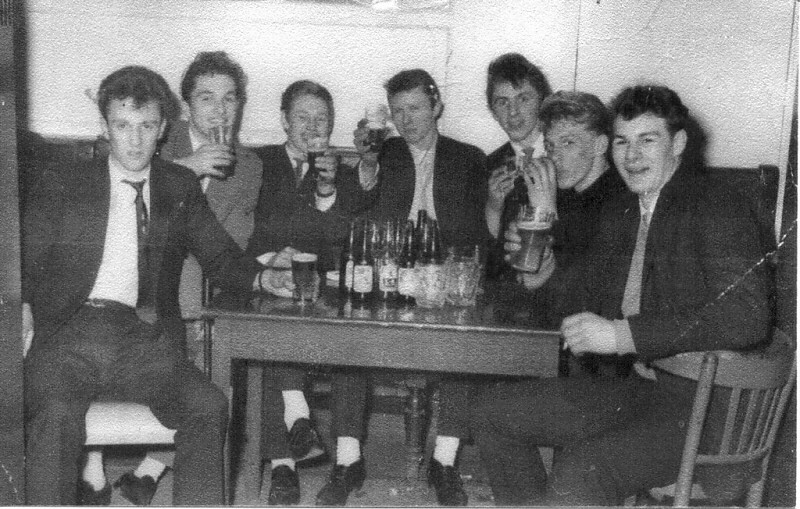 The above photo was taken somewhere in Morecambe, possibly the Tivoli bar, on a Bank Holiday Monday c1965. We would catch the train at Crosshills station along with other locals to Morecambe. On arrival we would dash across to the Seahorse Bar (Midland Hotel) and take root until 3 o'clock closing time. Then we set off to find the delights of Morecambe, this difficult task would involve attempting to row a boat on lake, but the boats must have been fitted with defective oars as they would either travel backwards or go round in circles. 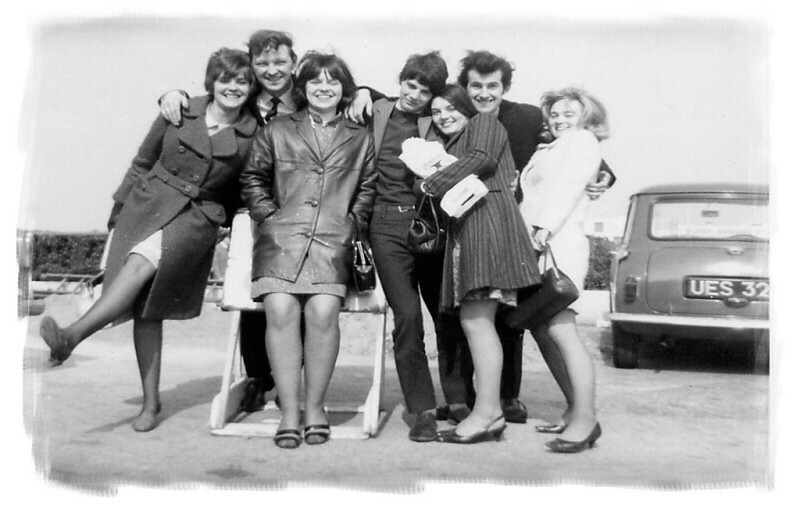 Photo taken outside the Midland Hotel, Morecambe c1966.